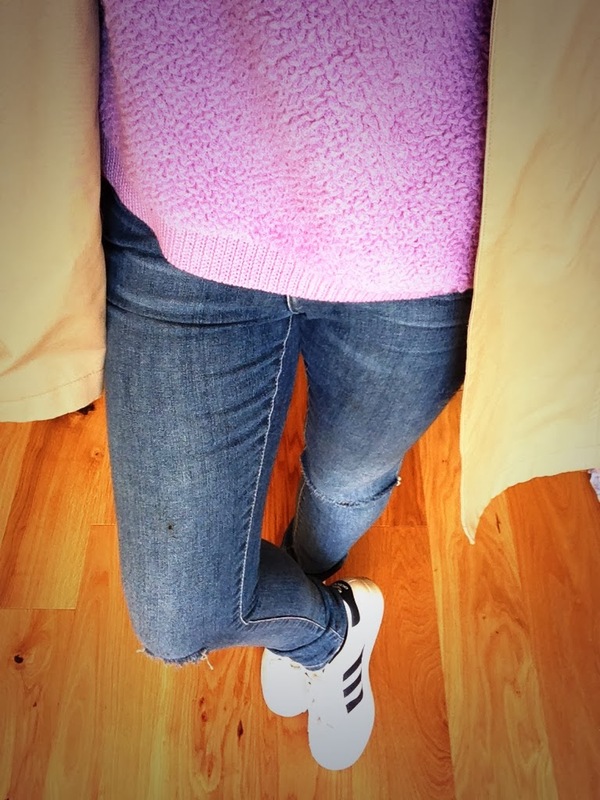 The Fashion Lift: Are you a Sk8ter Girl? The designers have re-launched this shape with Celine, Dolce and Gabbana and Saint Laurent to name but a few bringing out versions of the laceless 'kicks'. 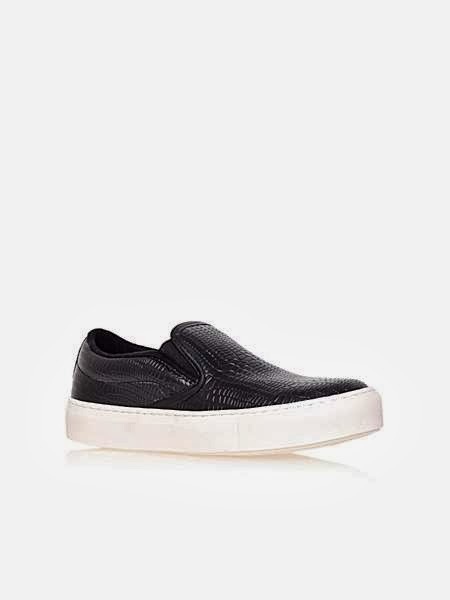 Comfortable and sleek, the high street have embraced this slip on trainer trend and there are some fab, more reasonable versions to be found. It is the great new alternative to the trainer or converse this summer so why not give them a try? 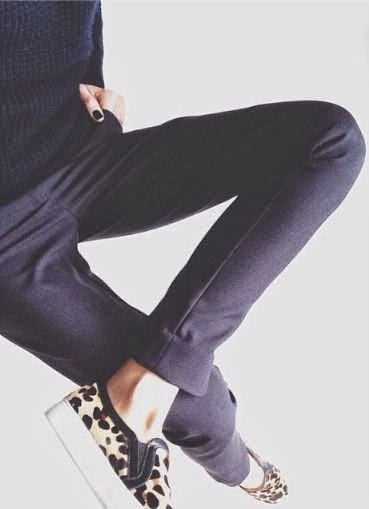 Animal print slip ons look great with an all black outfit. Buy light or metallic slip ons to wear in the summer. The Celine plaid tartans are one of the designer versions that started this trend. 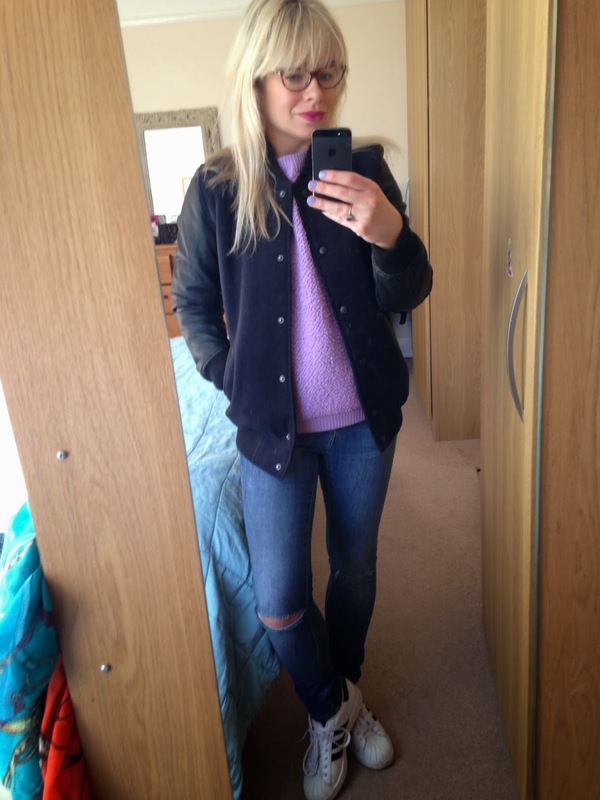 Pair your skater shoe with cropped leather trousers for a cool, sleek look. 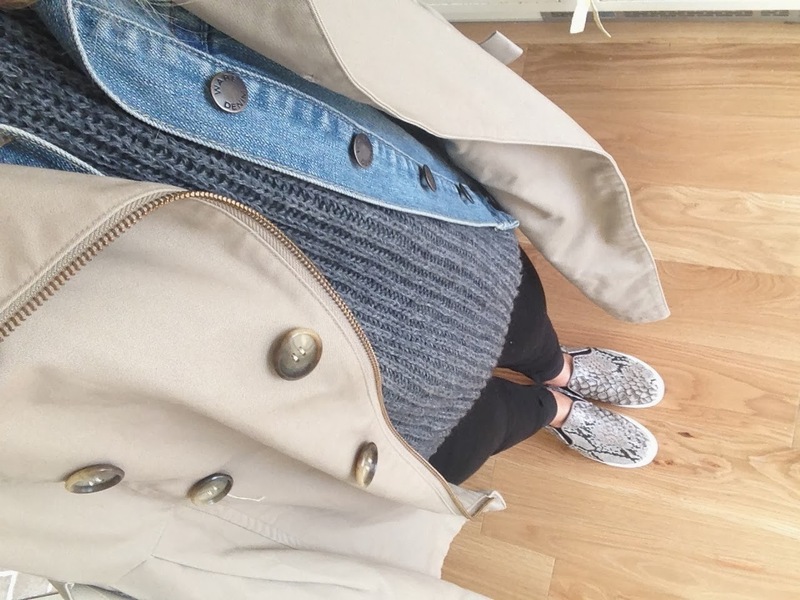 Black skater shoes are infintely versatile and look great with this grey and denim outfit. Red is going to be a big colour in AW14 so get in there early and add a pop of colour to your outfit with a red bag and leopard print slip ons. 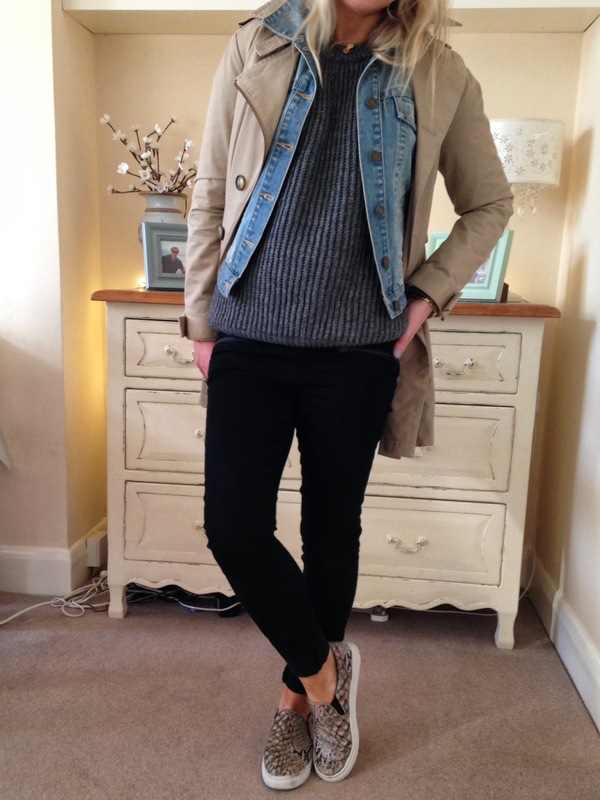 I love this look of the camel coat and grey tee with dark leather trouser s and black slip on, laid back and chic. 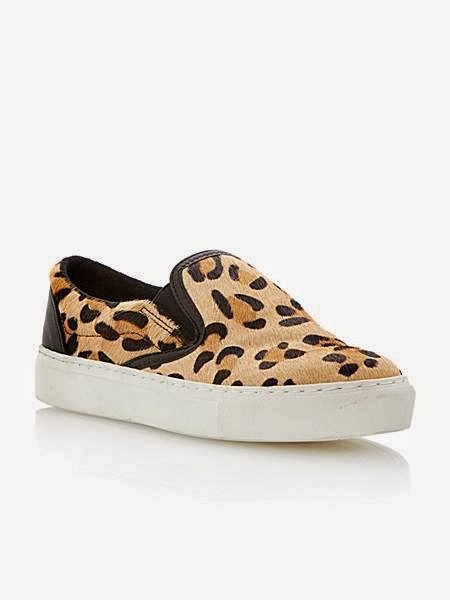 These are a fabulous version of the slip on, they have the right size of chunky sole to flatter legs and the leopard print can be seen as a neutral and paired with any colour and style of jeans. 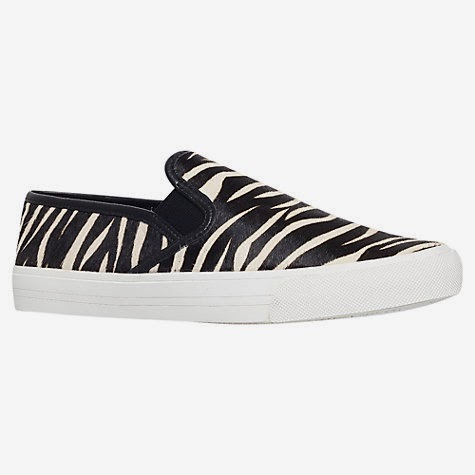 Pair these Zebra print slip ons with black ankle length skinny jeans and a black jumper now and in the summer wear with white shirt and black shorts for a chic monochrome look. 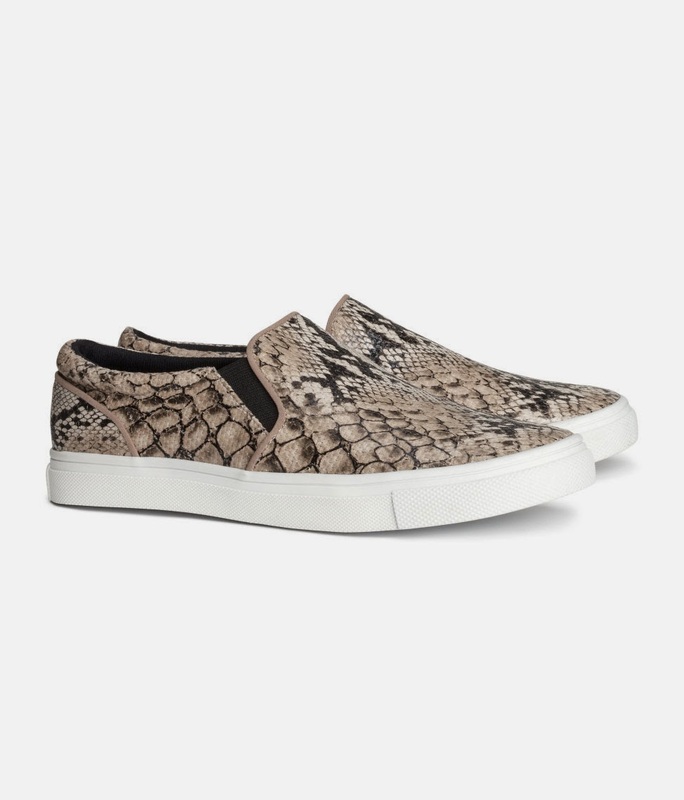 A lady like lace twist on the slip on with a lace printed skater shoe. I have these ones and they are so comfortable, not leather so I am not sure how long they will last but I am wearing them none stop at the moment. This wine colour looks great with black and greys and for the summer clash with a pale pink top. 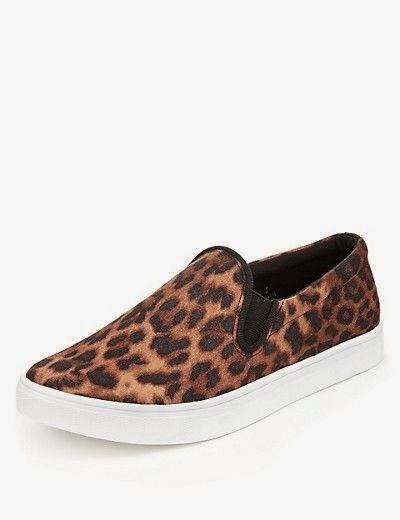 I love the fur look, this is a great basic black slip on. A 'hommage' to the Celine skater shoe, pick out the red in the check with red accessories. And for a more feminine take on the trend try these beautiful metallic slip ons from Hush, they are a gorgeous gold or silver colour and will look amazing in the summer with tanned ankles and ankle skimming skinny jeans. I hope this has inspired you a little, I have been a slightly late jumping on the 'slip on bandwagon' but am now I obsessed with these shoes and think they will come into their own in the late Spring/early summer. 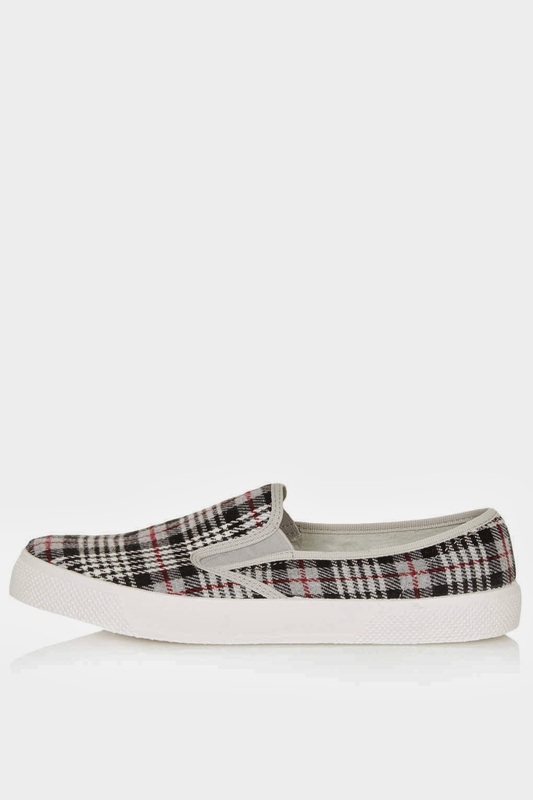 What I wore for running up to school with the kids and working from home..loving my new H&M slip ons so comfortable! Sorry no head shot, my 3 year old photographer was having an 'off day'!! 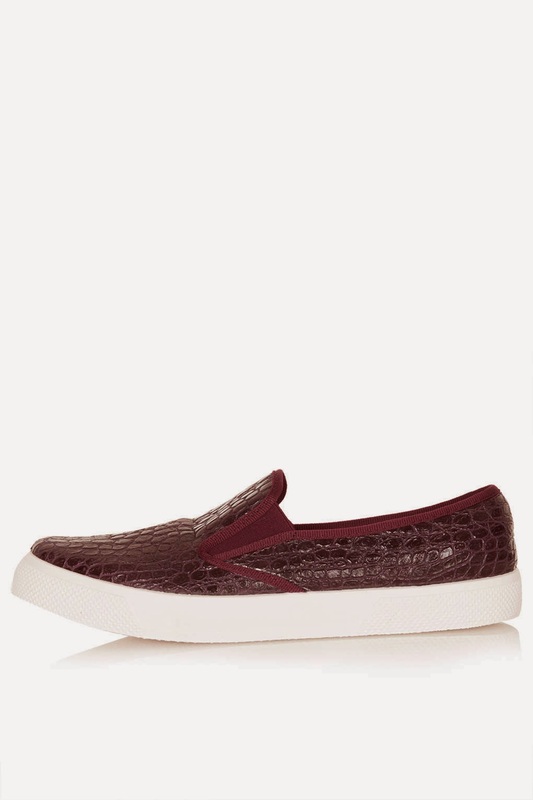 Are you into slip on/skater shoe, have you indulged in one or more pairs, would love to hear about your favourites. I have tried on so many pairs but because I have big feet for my height (UK6.5 I am only 5ft3!) it took me a while to find a pair that did not look huge..those of you with smaller feet will have a field day!! Next time, my Blogger meet up in town..was a fabulous day, I met some fantastic Mum fashion bloggers and had such fun with copious amounts of Prosecco..heaven! You'd look good in a paper bag! I can't say I'm fond of this shoe .. reminds me of the kids at the sk8ta (LOL!) park. I do love 99.9% of everything else you own/wear and I am very jealous of your hair! Great post Frances....I'm still undecided but after my post saying I thought I'd stick with ballet pumps I'm now thinking a slip on would look fab with a little denim dress come the warmer months & loving your images when worn with a skirt too.....I may just have to try some now!!! I love them, they look super cool and comfortable. I walk EVERYWHERE so need flat shoes for daytime. The leopard print ones tick lots of fashiony boxes for me. So love these on you, but just don't think there me, but not tried them on yet, so who knows!! !